WealthBriefing has announced it is increasing its offering for the private client industry, with the launch of the inaugural WealthBriefing GCC Region Awards. The awards will be focused around three main category groupings: experts (individuals and teams); products and services for wealth managers and clients, and institutions of all sizes and types. These awards will build on the success of our established worldwide awards programme, our events business and WealthBriefing’s unique position in the global wealth management market, by focusing on the Gulf Cooperation Council region. Independence, integrity and genuine insight will be the watchwords of the judging process. This will involve specially convened expert panels drawn from both private banks and trusted advisors and supported by relevant expert third-party organisations. Uniquely, partner organisations will be included to express the views of clients so that the WealthBriefing GCC Region Awards will truly reflect excellence in wealth management from the grass roots up. The WealthBriefing GCC Region Awards will be supported primarily by our global network of daily newswires for the wealth and private asset management communities; WealthBriefing and WealthBriefingAsia. Other supporting publications will be Offshore Red, Family Wealth Report, Executive Compensation Briefing and WealthCareers. The selection and judging process for the 2014 awards will begin in the autumn of 2013. Nominations will open in October 2013 and close on16th June 2014. All firms will be notified whether they have made the shortlist by 31st July 2014. 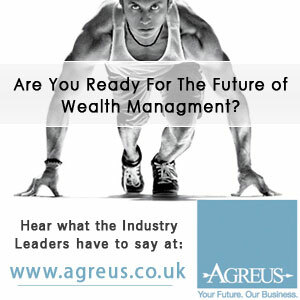 Entrants who are shortlisted will be announced on all WealthBriefingmedia, as will the eventual winners. The culmination of the process will be a black tie dinner on 19th November 2014 at the Madinat Jumeirah, Dubai during which the winners of the shortlisted entrants will be announced. This networking event will be conducted in a slick and snappy style. The formalities will not be dragged out unnecessarily as is so often the case at industry awards. Please click on the category/categories you are interested in entering. Once you have filled in the pop-up application form, a questionnaire giving the detailed questions you need to answer, to complete your nomination, will automatically be sent to you by email. Criteria for entry: Local or international private bank with operations in the United Arab Emirates. Criteria for entry: Local or international private bank with operations in Bahrain. Criteria for entry: Local or international private bank with operations in Kuwait. Criteria for entry: Local or international private bank with operations in the Oman. Criteria for entry: Local or international private bank with operations in Qatar. Criteria for entry: This award seeks to recognise independent wealth managers operating in the GCC Region which have a demonstrably client-focused model and which are innovators in the space. Entrants will be assessed on a broad range of criteria, including: how they segment clients to better service them; how they communicate with clients generally and in time of market stress; how they assess clients’ risk-profiles and match them to appropriate investments; how they help with clients’ wider life goals, such as leaving a legacy; and how client dissatisfaction is dealt with. Criteria for entry: Wealth managers or other private client practitioners who have used TV or video to promote their services to private clients or to raise their profile either within the industry or to clients. Criteria for entry: Wealth managers or other private client practitioners who have used online channels to promote their services to private clients or to raise their profile either within the industry or to clients. Criteria for entry: Wealth managers or other private client practitioners who have used print media to promote their services to private clients or to raise their profile either within the industry or to clients. Criteria for entry: Most effective and innovative brand launch or relaunch in the private client world, either a whole business unit or a product/service within an existing business. 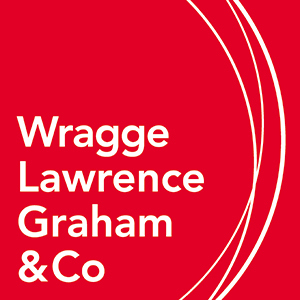 Criteria for entry: Law firm team or barrister dedicated to private client issues. Criteria for entry: Team in accountancy firm/consultancy specialising in reporting, transacting or wealth structuring for private clients. Criteria for entry: Entries only eligible from trust companies that are part of a non-trust parent. Criteria for entry: CRM, client reporting, client risk profiling, portfolio management. Criteria for entry: Straight through processing, core banking. Criteria for entry: Banks, wealth managers or system integrators who have successfully implemented multi-functional change programmes to significantly improve client experience and performance. Criteria for entry: Technology solution providers specialising in tools for managing clients’ investment portfolios. Criteria for entry: Technology solution providers specialising in tools for wealth managers to communicate with clients. Criteria for entry: A technology solution to help wealth managers assess and document the risk appetite of clients. Criteria for entry: Technology solution providers specialising in tools for wealth managers to manage risk. Criteria for entry: Client relationship management systems for wealth managers. Criteria for entry: Technology solutions to help wealth managers bring new clients into their organisation. Criteria for entry: Business providing financial data to private banks and other wealth managers. Criteria for entry: Third-party organisations providing business processes or systems to wealth management businesses. Criteria for entry: Organisations servicing the investment, governance and reporting needs of only one family. Criteria for entry: Multi-Family Office business based the in GCC region. Can be an international or local player. Criteria for entry: Team from within a wealth management or stand-alone business that offers Islamic Finance to clients. Can be a local or international player. Criteria for entry: Offerings from private banks or wealth managers which promote and encourage philanthropic activity amongst clients. Criteria for entry: Local provider of foreign exchange services to wealth management organisations or clients. Criteria for entry: Fund/asset manager that makes exchange-traded products available for local wealth management clients. Criteria for entry: Age and experience is no bar but something special should mark out this individual working in the private client world. Criteria for entry: A private banker or wealth manager under the age of 35 who is not yet in a senior management position but shows the potential to be a leading individual. Criteria for entry: Open to women in private banking or wealth management who are an inspiration both to female clients and colleagues. Criteria for entry: For individuals who have enhanced the standing of the local wealth management industry. Criteria for entry: Open to individuals or businesses that demonstrate an outstanding contribution to thought leadership in wealth management, as demonstrated by contributions to periodicals and events specialising in wealth management. Special editor’s awards will be announced at the awards dinner.